They are mainly used for fine boring operations. 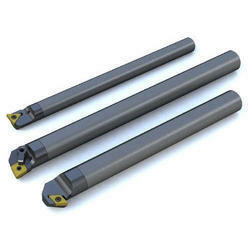 MBX Fine Boring Units for fine -finishing and extended adjustment range.Direct substitute to sandvik cartridges. Multi Spindles Unit For Drill, Reamer, Boring Tapping. Boring Head helps in the process of enlarging a hole that has already been drilled (or cast), by means of a single-point cutting tool . Boring head is used to achieve greater accuracy of the diameter of a hole. We are engaged in offering Boring Tool to our clients. These are known for its features like durability, strength, dimensional accuracy & long service lie. To furnish the diverse requirements of our clients in the best possible manner we are involved in offering an extensive range of Boring Tools. We take pleasure in introducing ourselves as leading firm by offering Boring Kit. Title: Double ended Boring Bar - Round Bit -5/32"
When you need to perform highly efficient and precise facing and boring, taper turning or tapping, the legendary Wohlhaupter head maximizes your productivity. First-class technology for over 70 years - in use all over the world in single-part and batch production. We manufacture superior quality boring bars which are compatible with conventional lathes, CNCs and VMC machines. Recognizing the client’s requirement we are well-equipped to provide these bars in various specifications. Boring Tools are one of the well tested, capable and richly tested product ranges of our firms which are ensured to deliver a very efficient serving life. 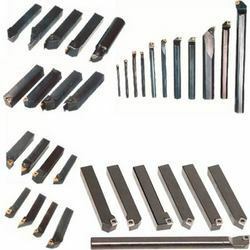 These boaring tools offered by us are mainly used for the pre-machining of the bores. Accurate in design, these tools are wear & tear resistant and conform to the defined industry standards.